"Recorded across two nights in 1981 at New York's legendary Performing Garage and originally released in 1983 on cassette, Symphony No. 1 has been remastered for vinyl and reissued for the first time as a heavyweight 180 gram 2LP set in a deluxe gatefold jacket. The limited edition pressing features additional liner notes written by Lee Ranaldo (Sonic Youth) alongside the original notes by Jon Pareles (The New York Times) and now includes photos by Paula Court (New York Noise). 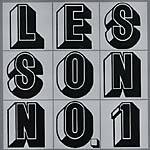 The ensemble of performers on this recording are: Glenn Branca, Craig Bromberg, Dave Buk, Ann DeMarinis, Barbara Ess, Robert Harrison, Thurston Moore, Lee Ranaldo, David Rosenbloom, Richard Edson, Ned Sublette, Wharton Tiers, Gail Vachon, Fritz Van Orden, Stephen Wischerth and Margot Zvaleko." Recorded 2/28/2008 in Italy. "Glenn Branca's work as a composer spans music for experimental rock bands, large ensemble instrumentals for electric guitars, 16 symphonies, chamber ensemble pieces, an opera, a ballet, choral works and music for film, dance, theater &installation art. 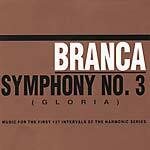 Now considered by many to be one of the most influential living composers (both in the fields of alternative and experimental rock, as well as contemporary classical music), Branca's work has inspired and influenced two generations of composers and musicians, major rock stars, Academy Award winners, and Pulitzer prize composers. His animated style of conducting has recently begun to change perceptions about the role of the conductor in serious music performance. 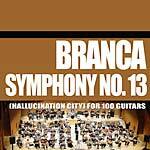 Branca is the inventor of The Harmonics Guitar and a theory of music based on the Harmonic Series as well as various tuning systems. He has designed and/or built many of the instruments used in a number of his pieces. He is also a founder of The No Wave Movement that started in downtown NYC during the late 70's that has now become, after many decades, an international movement in the underground music scene." 2014 release. "Glenn Branca's first full-length album The Ascension is a colossal achievement. After touring much of 1980 with an all-star band featuring four guitarists (Branca, fellow composers Ned Sublette and David Rosenbloom, and future Sonic Youth member Lee Ranaldo) along with Jeffrey Glenn on bass and Stephan Wischerth on drums, Branca took his war-torn group into a studio in Hell's Kitchen to record five incendiary compositions. Originally released in the summer of 1981, The Ascension effectively tears down the genre-ghettos between 20th century avant-garde and ecstatic rock 'n' roll. On 'The Spectacular Commodity,' chiming, shimmering tones unfold into sinister drone-territory à la Tony Conrad, while abrasive guitars and repetitive beats retain the raw primitivism of No Wave. The title track attains a densely packed, larger-than-life sound and (as author Marc Masters says best) 'never stops climbing skyward.' With artist Robert Longo's stark front cover that depicts Branca battling an unidentified man, The Ascension is a must-have record not only for fans of early Swans and Sonic Youth, but also of Steve Reich or Slint's Tweez." 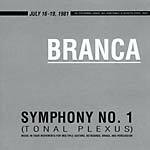 "Long rumored, long-awaited and essentially first-time issue of this incendiary Branca masterwork, recorded in 1981 at NYC's Radio City Studios -- during the peaked out early era of Glenn's 'Guitar Army' ensembles -- and shortly after the release of The Ascension EPon 99 Records. Featuring contributions from soon-to-be Sonic Thurston Moore & Lee Ranaldo, as well as Branca mainstays Craig Bromberg, Barbara Ess, Jeffrey Glenn, Sue Hanel, David Rosenbloom and Ned Sublette, Indeterminate also contains two other pieces: John Cage's infamous anti-Branca interview with Wim Mertins, captured at Chicago's Navy Pier back in 1982; and a gorgeous, previously unreleased composition 'Harmonic Series Chords,' performed by The New York Chamber Sinfonia in 1989. This potent, apocryphal missing link in the Master's discography has finally been made available for public consumption!" 2008 repress. Subtitled "Describing Planes Of an Expanding Hypersphere". 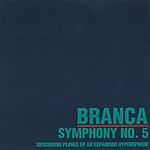 Recorded in 1984 but held up in a post-production stasis until now, this is music for 5 guitars, mallet guitar, violin, drums, bass, keyboards, that is being touted as the "most dense, cacophonous Branca symphony yet." "Glenn's music gets quite often inaccurately described as wall-of-sound/noise/guitars/whatever. A wall exists for the purpose of containment. 'Symphony No. 5' is expansive beyond limits, smashing the wall (at least sonically) between this dimension & all others. There is quite audibly the garblings of the voices of alien intelligences banging at the doors of our world as we dream of theirs." 2010 repress. "Stunning, heavy requiem for ten electric guitars." Recorded in 1994, with the following guitarists: Steven Antonelli (alto guitar), Eric Hubel (tenor guitar), Brannon Hungness (soprano & octave guitars), Phil Kline (tenor guitar), Carolyn Master (alto guitar), John Myers (soprano guitar), Dave Reid (bass & octave guitars), Ellen Watkins (soprano & octave guitars). 2012 repress. Documents the early recordings of Glenn Branca within the realm of his legendary no-wave ensembles The Static & Theoretical Girls. Contains all the recordings from both singles by these groups, plus "outrageous and inspired home cassette recordings from the time." Crucial no-wave-into-the-eighties reference point, and some extremely influential music. Restocked; 1993 reissue of the long unavailable Neutral LP, subtitled: "music for the first 127 intervals of the harmonic series." Recorded 1/16/83, at the Brooklyn Academy of Music. With Thurston Moore, Lee Ranaldo, Barbara Ess, Margaret DeWys, Michael Gira, Amanda Linn, etc., plus drum arrangements by Stephen Wischerth. 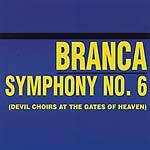 Classic early Branca. 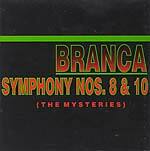 1993 CD release and one of Mr. Branca's absolute masterworks: 10 guitars and bass & drums, beautifully studio-recorded. Originally released by Blast First in 1989. From the liner notes by Tim Holmes: "If one piece of music could possibly be all music, then you're holding it in your hands. I have played this album thousands of times since 1989 & it's still metamorphosing, trillions of layers pealing away translucent sound vibrating new electric worlds the hammer and hum of the infernal/celestial engine...the ubermusik of the spheres, as terrible and gorgeous as desire."